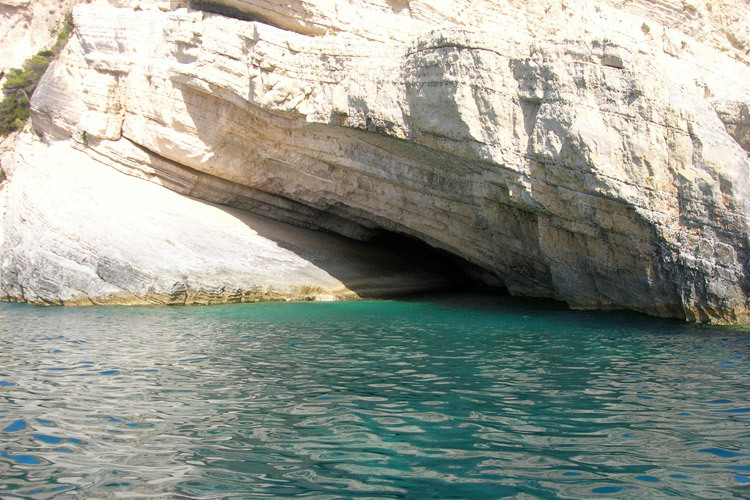 Kerì Caves, accessible only by sea with private boats or tourist excursions, develop along the promontory of Marathia Cape, in the South-West area of the island. 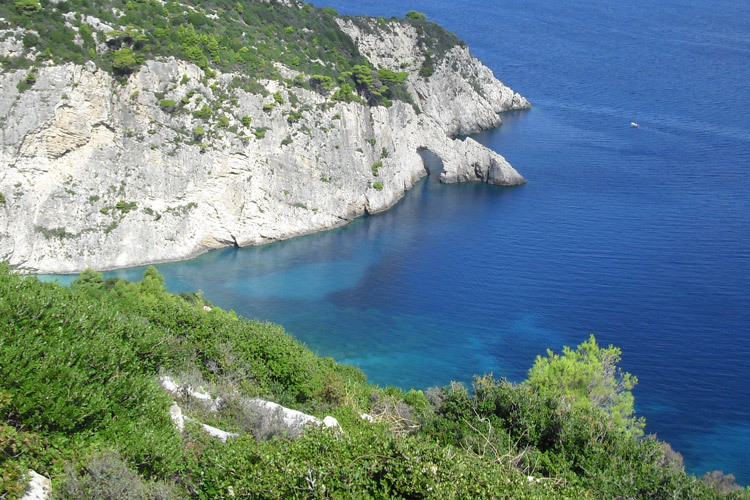 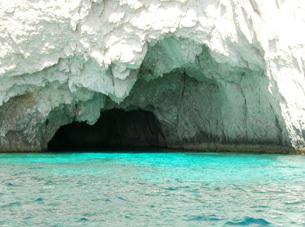 Along the coast there are many caves which entrances scarcely suffice to get in swimming, others are broad enough to enter directly with a boat. 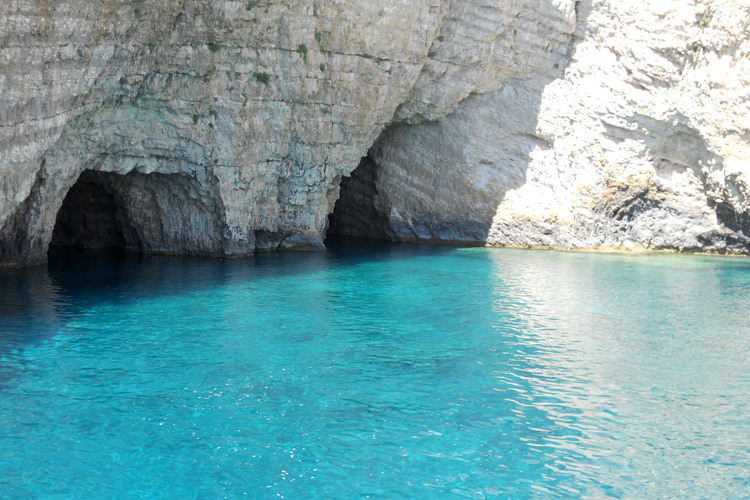 It is very easy to reach the caves that are surmounted by cliffs where the sea is very deep and as such reachable. 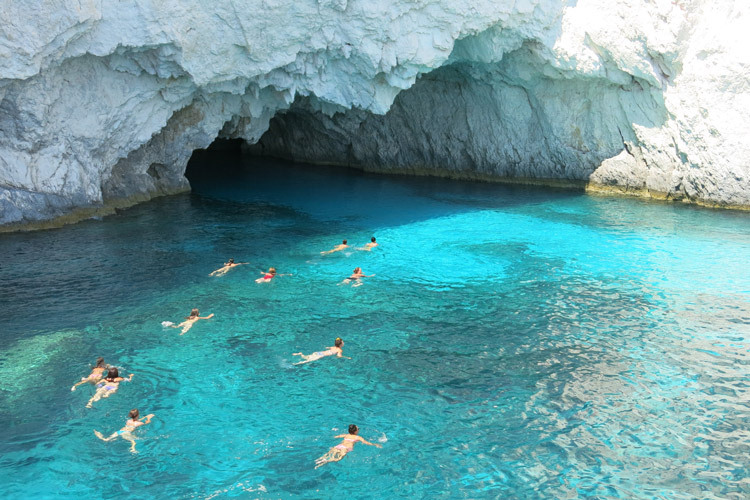 While visiting the caves it is possible to stop to swim or sunbathe in one of the many small beaches of Marathia Cape or to reach by boat the Mizitres. 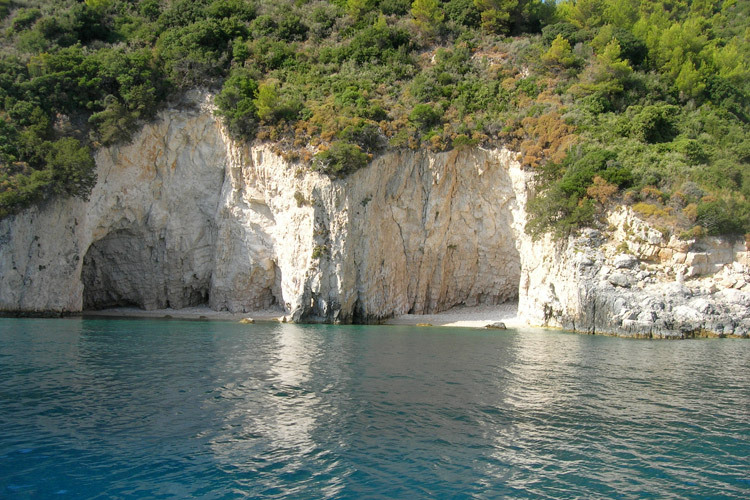 Mizitres are two crags very close to the cliffs that form a small beach of very fine sand reachable only by boat. 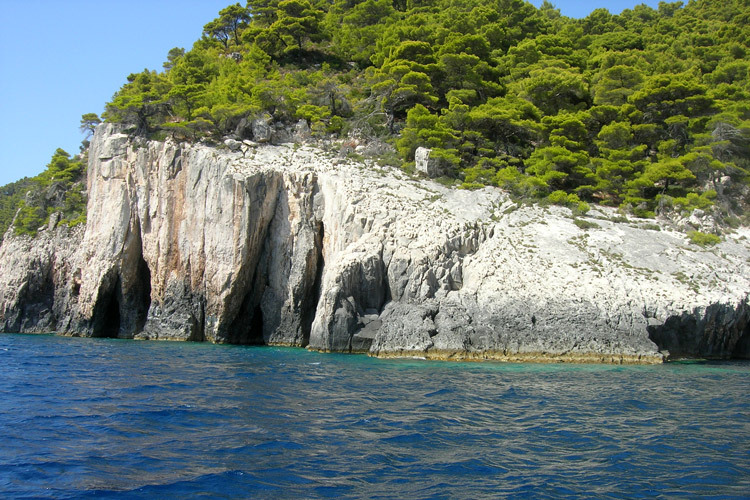 Admiring them from a close position you can notice that in one of the two crags there is a crack where it is possible to swim and where a lot of starfish live. 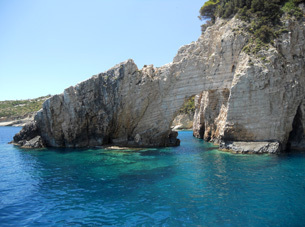 Moreover along the coast there are two arches of rock, under the larger one you can pass with the boat.